7 Stations – 60 seconds on, 15 seconds rest, move to next. Lonely Hearts Club 180928 – The Band is breaking up! The countdown started and the 1-mile race was off! Gold Star and BoneDaddy were neck and neck, with BoneDaddy occasionally taking the lead. This was how the race went for the first half. Then Gold Star started to warm up, took off his sweatshirt, and started his push. Little by little he began to overtake BoneDaddy, ultimately getting about one fully exercise ahead by the end. ANNOUNCEMENT: Due to the continued extremely low numbers and what appears to be lack of current interest in a Friday morning workout, at least at the current AO. Today will be the last show at the Lonely Hearts Club. With the onset of winter, we believe it is best to consolidate resources and ensure a healthier, stronger PAX emerges in the spring. We would like to thank Epiphany Lutheran for their hospitality and hope to be able to host a Reunion Tour in the not too distant future. 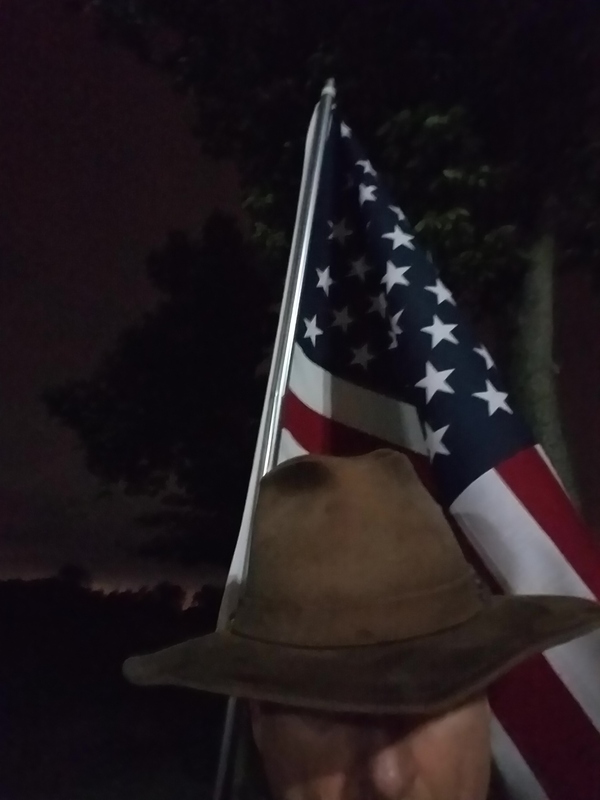 The pre-dawn Gloom is regularly when the Pax of F3 gather for their free work out, but afternoon and evening gatherings are not unprecedented. Personal scheduling conflicts created the need for a schedule adjustment. 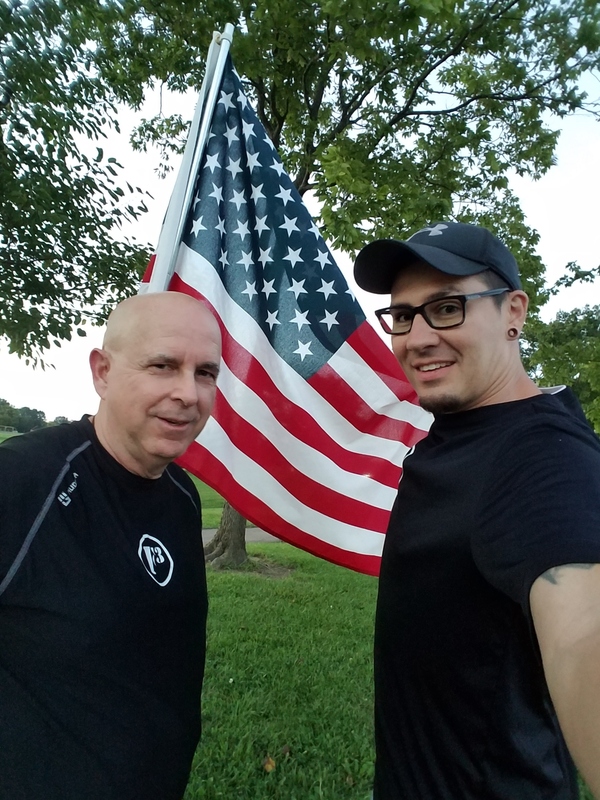 Newly named Pax, Sir Ulrich, joined YHC at The Higgins (a.k.a., Cloud Park) for the inaugural evening session of F3 Dayton. If you need a little motivation for getting in shape, come join us. We currently have almost thirty active members ranging in age from 10 to 65 and in various levels of fitness. 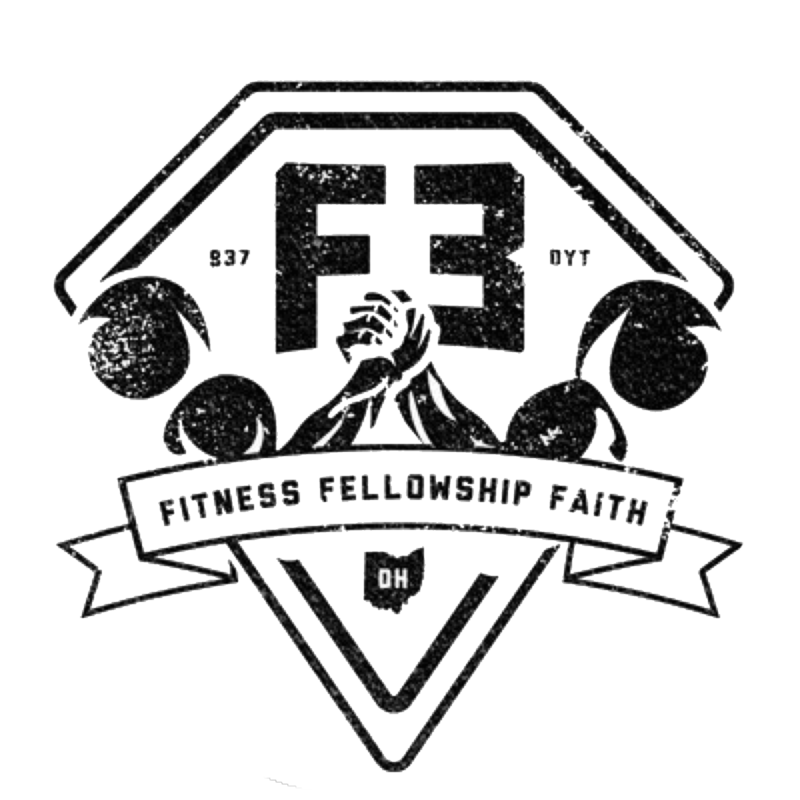 F3 is a peer-led, zero cost workout group with the mission to plant, serve and grow these groups in order to invigorate male community leadership. Truth be told, I did not want to move to the Dayton area. Other than grandkids, what does this area have to offer?? Turns out to be a lot. The five rivers area has sculpted some marvelous scenery. I live 12 minutes from a 30 foot waterfall. And the parks are great. 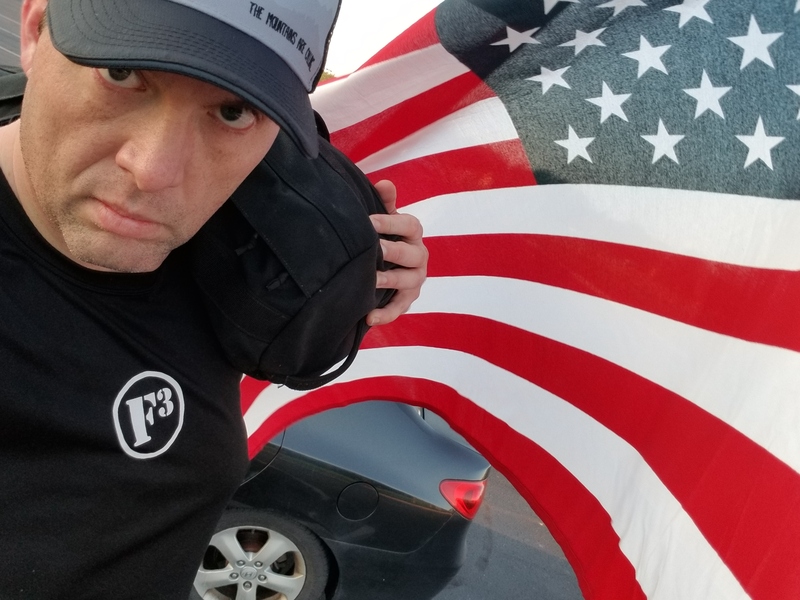 The Ruck: 1.5 miles with 20# pack. And if we had not moved here, I would not know the fine fellow Pax of F3. Where I thought we were going to move to, F3 does not exist. I have learned that adventure is where you find it. Scheduling note: I will not be at Cloud Park on Thursday, September 27, but feel free to come and solo ruck. But, who in their right mind would do that?? Teams of 2 PAX alternating between a rep exercise and a bear crawl or walking lunges the width of a football field and back.